Having trees in your garden is a really special thing, offering privacy, shade, and even a natural adventure playground for the kids (and young at heart). But dealing with tree maintenance is a much less magical part of having a majestic tree in your garden. Not only is it time-consuming and quite frankly hard work, it can also be quite dangerous, especially if you don't know what you are doing. Of course you can't just leave your tree to overgrow, as you'll eventually end up bringing power lines down, or just annoy the neighbours. So what can you do when you need to trim and manage your trees, but don't have the time, energy or inclination to do it yourself? Well, that's actually the easy part - you call us at Handy Gardeners on and get our tree surgeons to help. With so many other landscaping services in London, why would you come to Handy Gardeners for tree surgery? Quite simply because we are the best around! Our gardeners are specialists in tree care, and when called in early enough can prevent long-term damage from tree diseases, or just keep on top of your garden trees to keep them look tidy. Our landscapers offer an effective and efficient service that takes the stress of tree surgery off your shoulders, while offering a top quality result. They also provide their expertise at highly competitive prices, meaning you get the best quality service without the premium price tag. Come to us and save yourself the hassle! With our support it doesn't matter how big or imposing your trees may be, you can rest assured that they will be dealt with professionally and with expertise. If you'd like to learn more about how our gardeners can help with London tree surgery, you can simply call us on 020 3744 0111 and tell us what you need, and when you'd like us to come and visit. Then it's all plain sailing from there, and you can leave us to it. Call Handy Gardeners today on 020 3744 0111 to find out more about our excellent services and get great value for your money. Go on! When you want to sit in your beautiful garden filled with flowers, different plants and trees, let us do the heavy work for you. Thinking about freshen and tidying up your garden? Hire our professional team when you need tree surgery, tree pruning, or any other gardening duty. Our garden maintenance service is well respected and many of our clients are highly satisfied with our high quality service at a very affordable price. Although gardening might not be a difficult job for some, there is a reason why most people leave these specific tasks to experts. 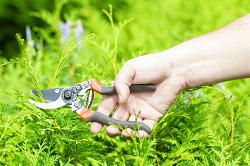 It is because gardening professionals have the right skills and equipment to do the work more efficient. With our vast experience, skills and expertise, we know how to transform your garden and make it look wonderful. 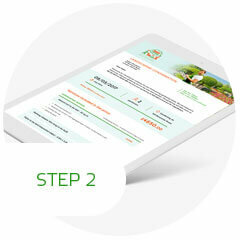 Choose Handy Gardeners if you need perfect and affordable tree surgery. 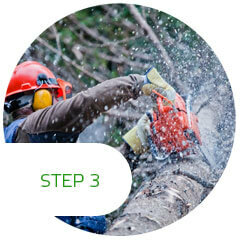 There are lots of different services that we can offer you such as crown reduction services, tree pruning and even more. All of our services are carried out by our own experts who are excellent at their job. They can literally do miracles with your garden. So take this advantage now and see for yourself the amazing results they can provide. Imagine returning home to a beautiful garden every evening after work or spending your weekends out in your garden enjoying the beautiful scenery. This doesn’t just have to be an image in your head. It can be real! Hire us and we can show you that this can be more than a dream! We can bring your garden back to life. Call us on 020 3744 0111 and book a date now.